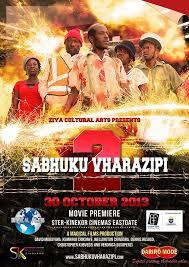 This film is about Vharazipi, a corrupt headman, who manipulates the distribution of food and other inputs in his area, to get what he wants, including women. The movie is a comedy about how headmen abuse their power and how widows are taken advantage of. The second installment of this two-part movie is set after election time, picking off from the end of part 1. It takes a deeper insight into the headman’s dramatic life as he continues to threaten the law, abuse his position to seek sexual favors, and gain political mileage.